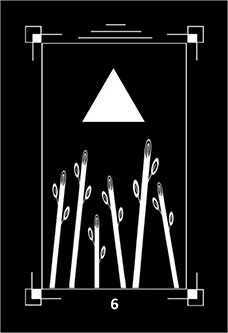 Your enthusiastic stewardship is producing dramatic results. 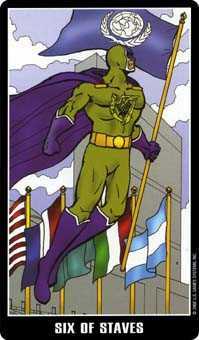 The Six of this suit points to the respect and acknowledgment due to you for your efforts to solve the problems of your community. 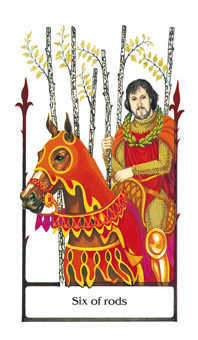 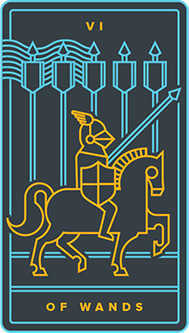 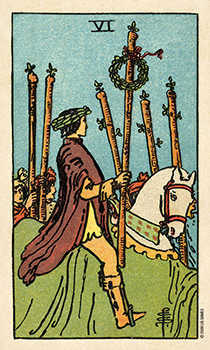 The image is usually of a victory parade, after the celebrated leader helped troops win a pivotal battle. 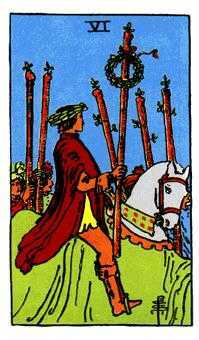 It took the whole tribe to win the victory, of course, but it was the leader's heroism and clarity under pressure that inspired them to overcome. 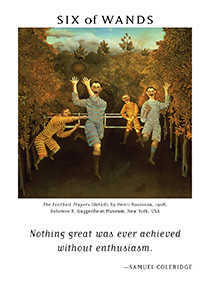 The team is thrilled that the leader led them to victory. 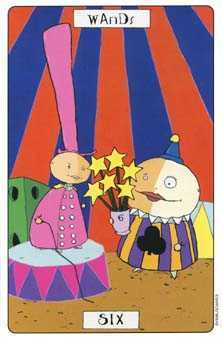 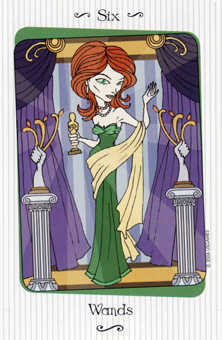 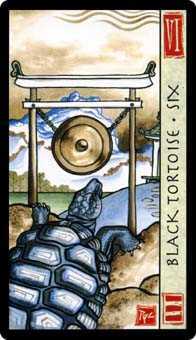 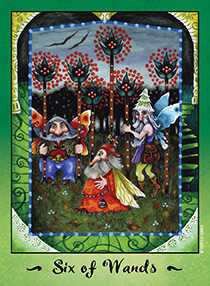 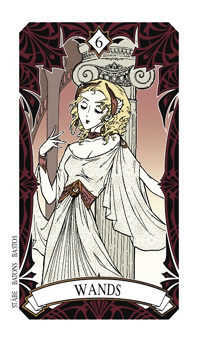 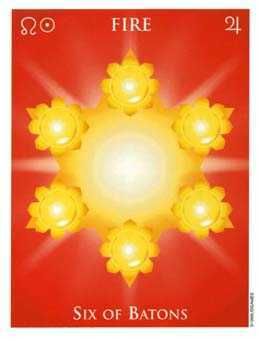 This card points to a time to let everyone relax and celebrate -- if you are the leader, let them applaud you. 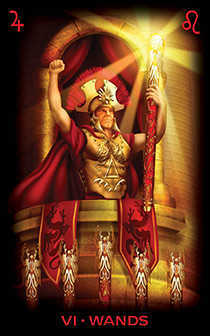 They are seeing their better selves reflected in you -- a victory indeed! 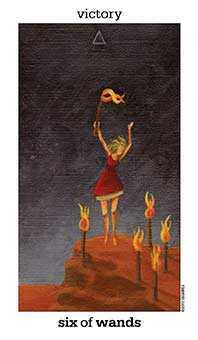 Fearlessly act on your convictions and others will be inspired to support your ideals. 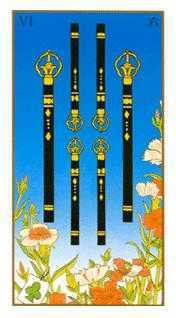 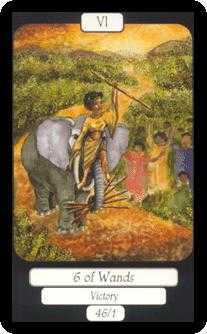 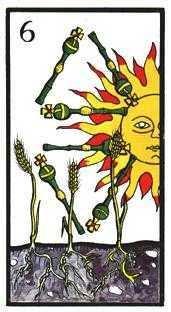 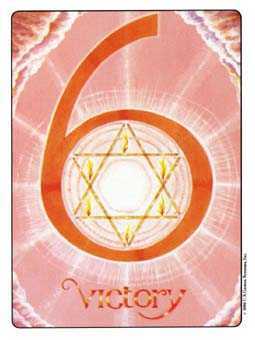 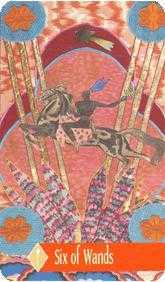 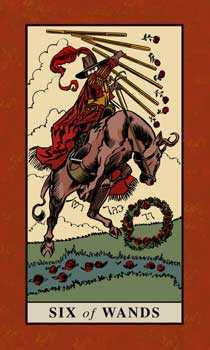 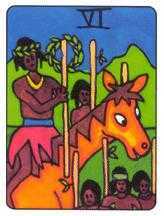 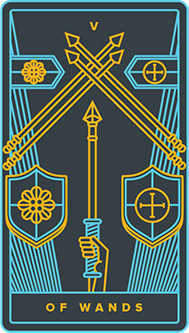 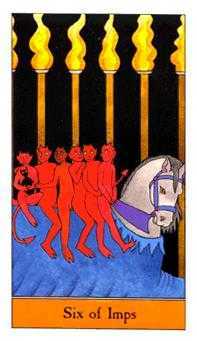 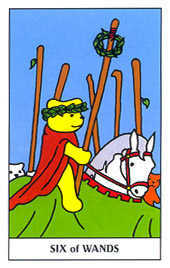 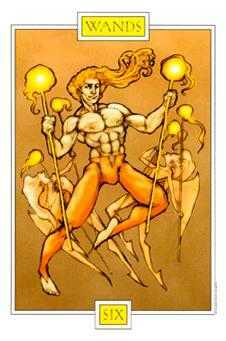 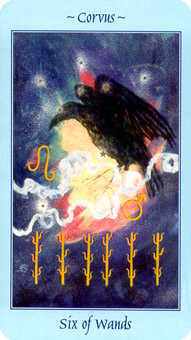 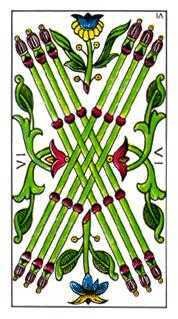 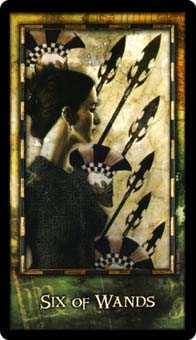 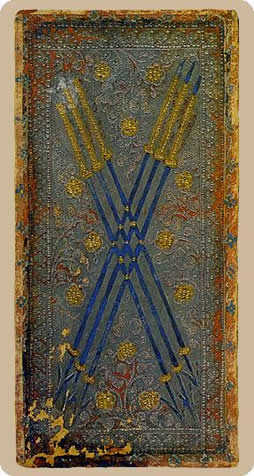 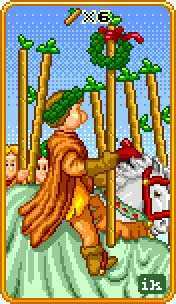 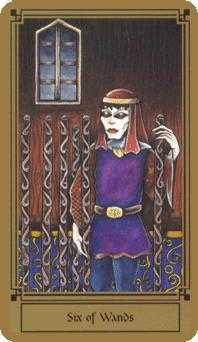 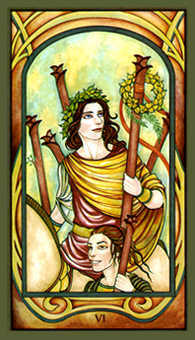 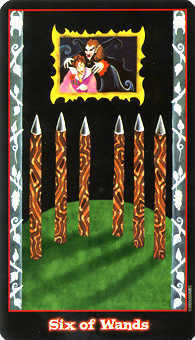 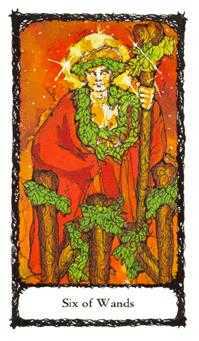 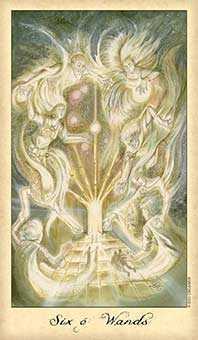 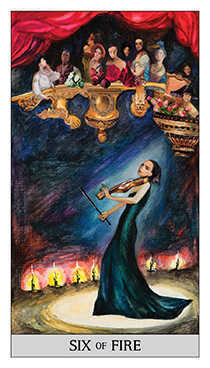 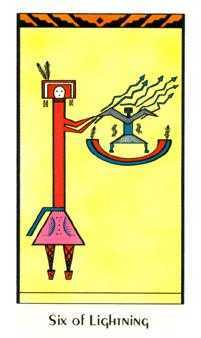 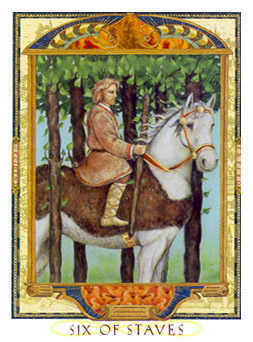 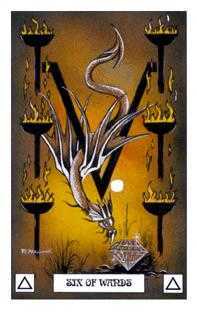 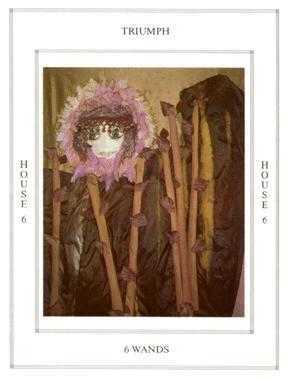 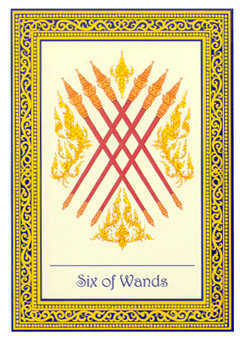 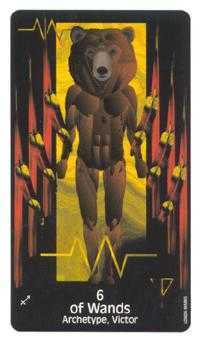 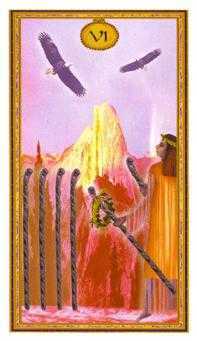 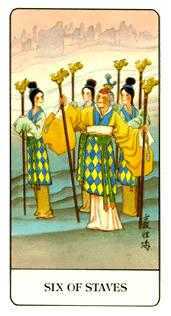 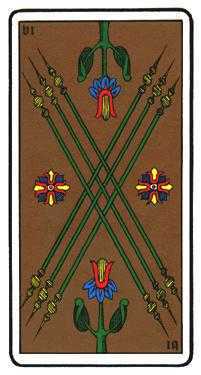 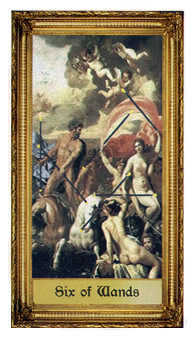 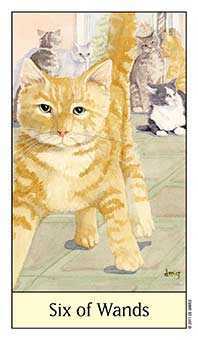 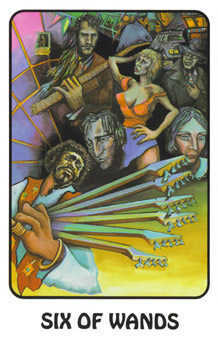 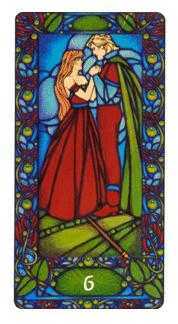 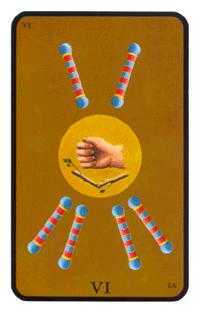 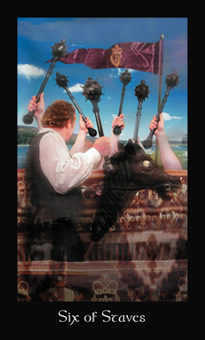 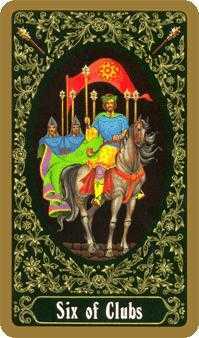 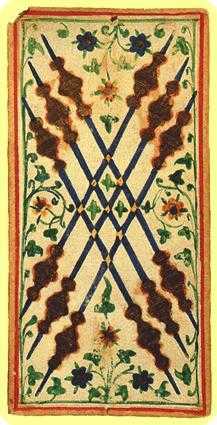 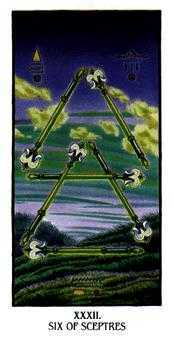 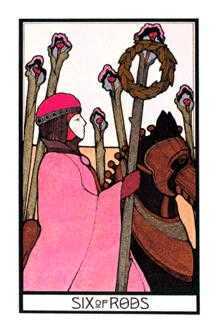 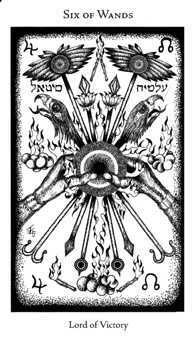 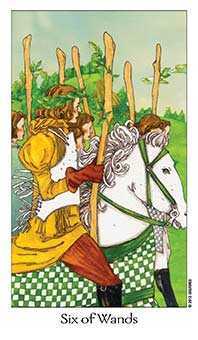 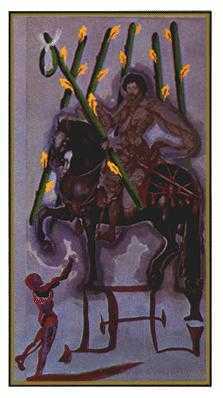 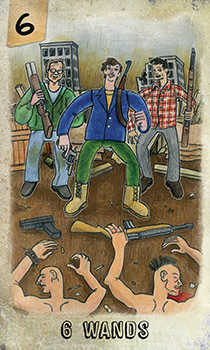 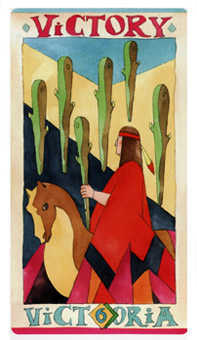 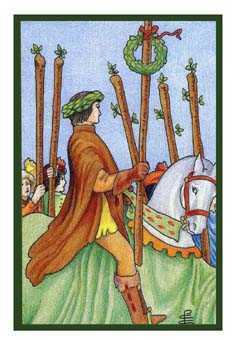 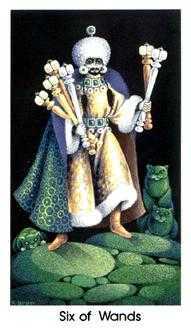 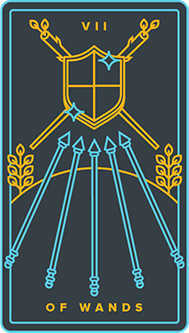 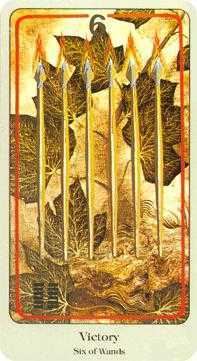 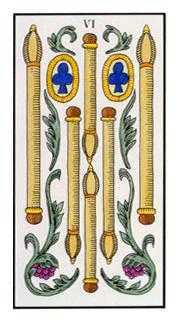 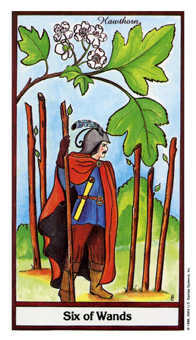 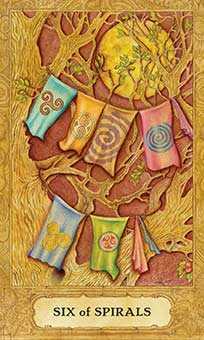 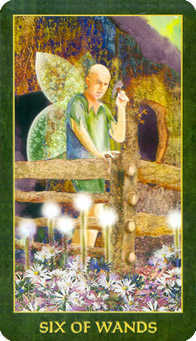 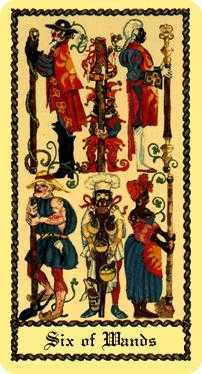 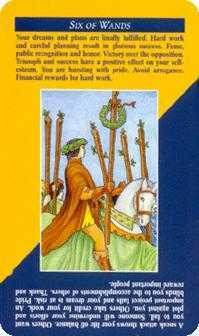 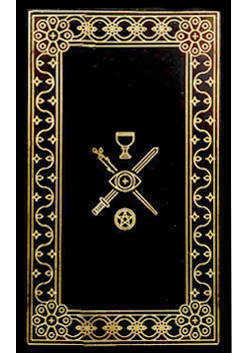 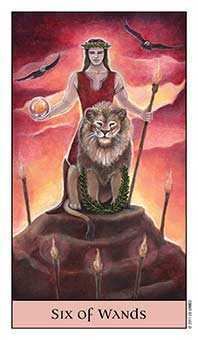 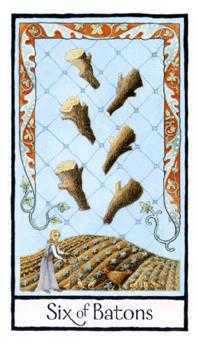 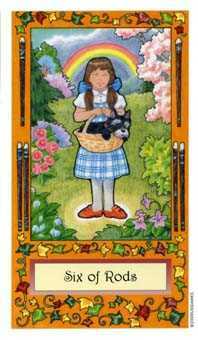 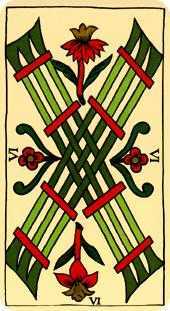 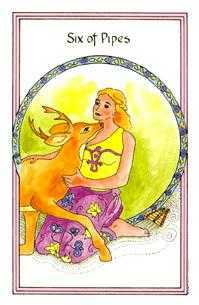 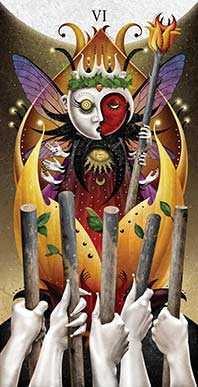 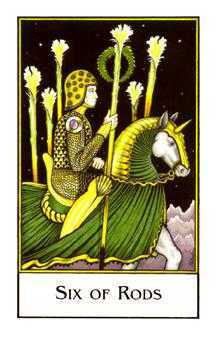 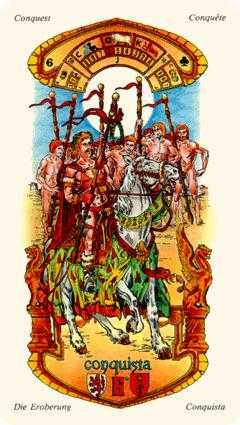 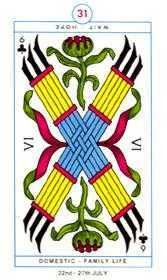 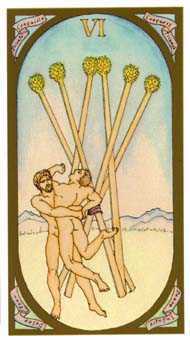 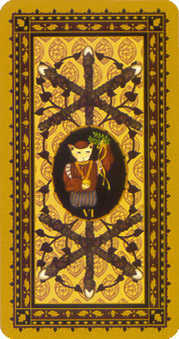 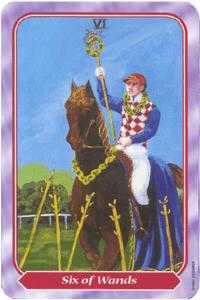 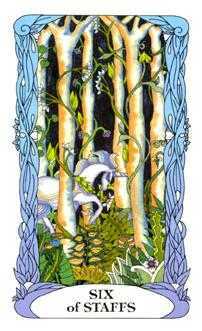 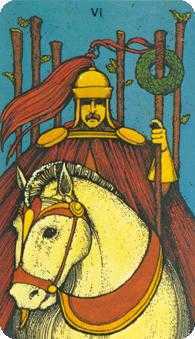 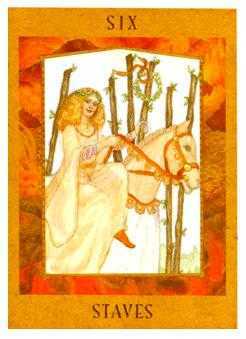 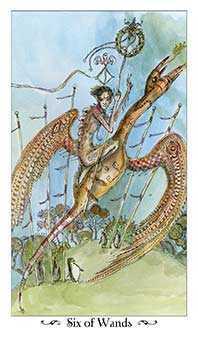 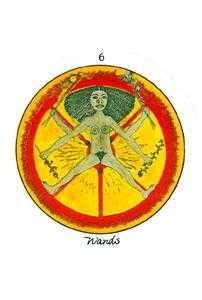 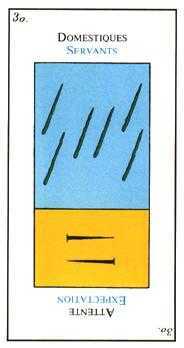 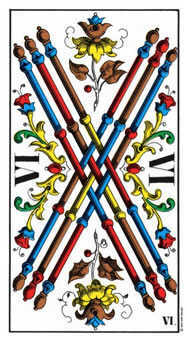 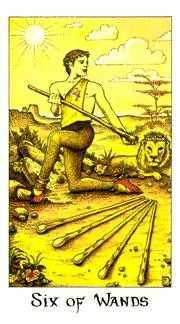 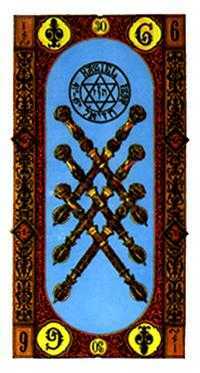 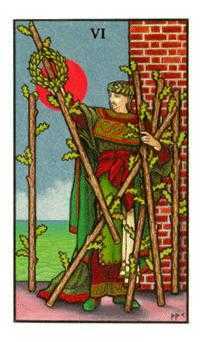 The Six of Wands in this position advises taking action on your most burning and passionate convictions, no matter what the social consequences. 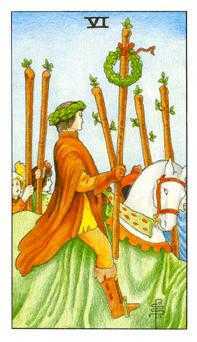 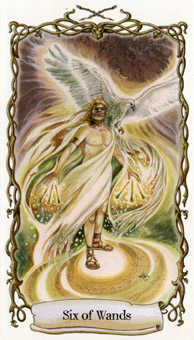 Continue to articulate and define yourself in light of the torch you are carrying. 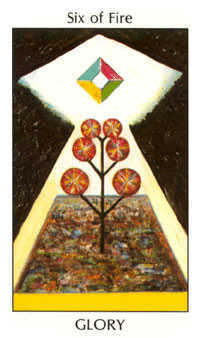 This inspires others to conceive some new ideas of their own. 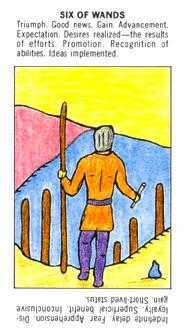 You may find yourself becoming something of a leader. 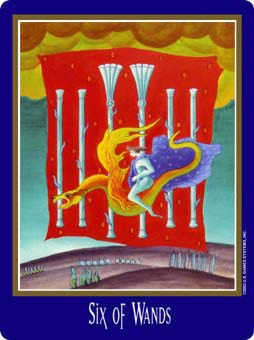 Usually the first person to break away from conventional thought is the one to define a new trend. 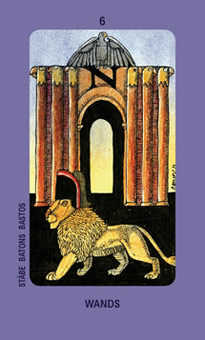 Under the circumstances, there is a solid need for a fresh voice and vision -- so make your move. 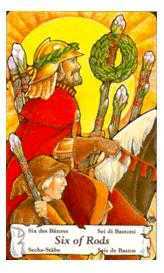 Those around you who are ready for change will support your leadership.